GVARC hosts two potluck picnics a year - one in the spring and one in the fall - for members and their guests to gather together and enjoy a potluck lunch and something from the BBQ. Participants bring something to share with 10 others, their beverage and table setting. The club provides the meat that goes on the BBQ. 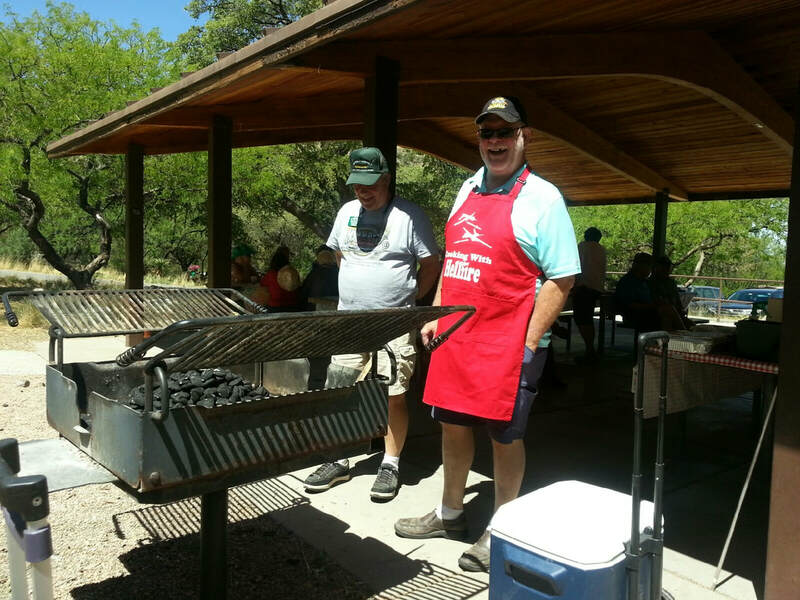 The Spring Picnic was held April 4th, 2019 at Ramada 4 in Anamax Park in Sahuarita. Did you take a photo, which you would like to share, during the potluck, please upload it below for a gallery. Thank you.